An eye bolt is a screw with a loop on one end and threads on the other end. 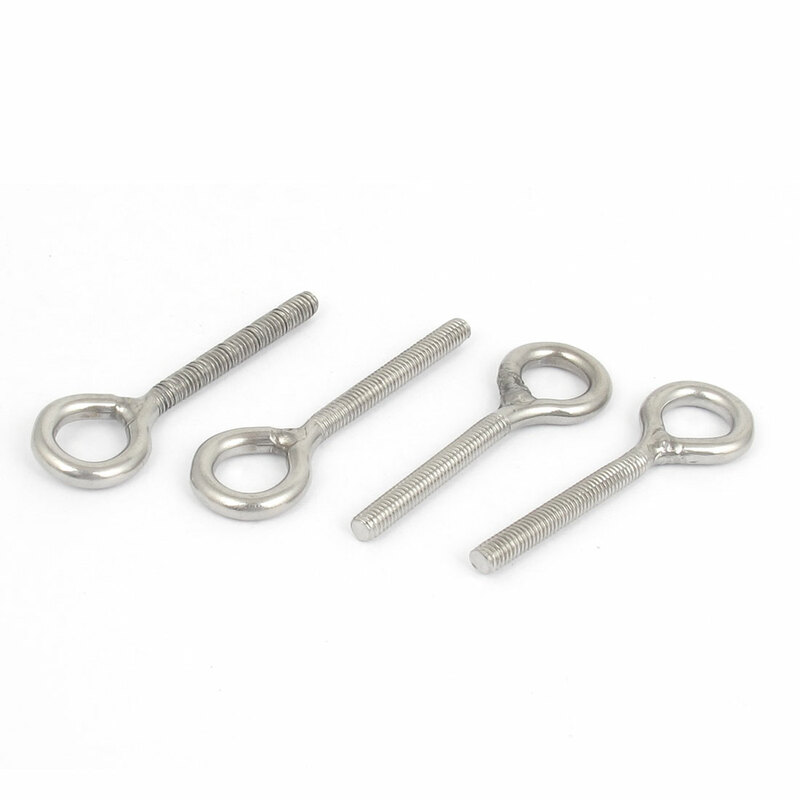 Eye bolts are commonly used to attach cables to objects, for instance attaching a string to the back of a painting to allow the painting to hang from a nail on a wall. Easy to use, an ideal lifting equipment. Total Length: 52mm/ 2"; Eye Inner Diameter: 9mm/ 0.35"